Are up to your elbows in debt? Do your worries about overwhelming debt making it difficult for you to enjoy life’s simple pleasures? When you are inundated with creditor calls and live in constant fear of lawsuits and garnishments, it may be time to contact an Oklahoma attorney about dept relief options. A Tulsa Chapter 7 bankruptcy attorney can help you determine which of the two bankruptcy options — Chapter 7 Bankruptcy and Chapter 13 Bankruptcy — may be right for you. 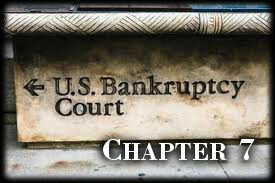 This page discusses Chapter 7 Bankruptcy for Oklahomans. 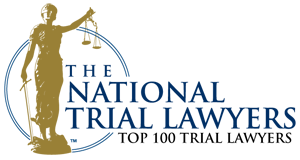 The primary benefit of Chapter 7 Bankruptcy over Chapter 13 Bankruptcy is that Chapter 7 is the simplest and quickest form of bankruptcy available. As long as you stay current on payments, Chapter 7 Bankruptcy can often allow you to keep your home or vehicle. With other debts eliminated, restructure your budget to pay overdue taxes or student loans. If you would like to know whether Chapter 7 is the right bankruptcy option for you or whether you qualify for relief under Chapter 7, talk to an Oklahoma bankruptcy attorney at Wirth Law Office. Don’t wait until it’s too late to get your questions answered about this important matter. Learn about the various options available to you now. 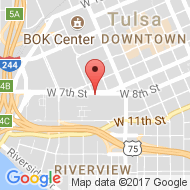 Contact Tulsa, Okla. Chapter 7 bankruptcy attorney James M. Wirth, Esq. at 1 (918) 879-1681 or toll free at 1 (888) Wirth-Law.